Khondaker Mosharraf Hossain is a First class and List A cricketer from Bangladesh. He was born on 20 November 1981 in Dhaka and is a left-handed batsman and slow left arm orthodox bowler. He is sometimes known by his nickname Rubel. Making his debut in 2001/02 he has appeared for Dhaka Division up to the end of the 2006/07 season with a season for Barisal Division in 2004/05. He represented Bangladesh A in 2005/06 and 2006/07. Mosharraf Hossain, at the age of 23, joined the long list of left-arm spinners to play for Bangladesh when he was handed his ODI debut against South Africa. Hossain impressed during a tied warm-up game between a Bangladesh XI and a strong South African side, picking up three economical wickets, and was ushered into the national side with veteran Mohammad Rafique having recently retired. Hossain bowled alongside the two more experienced left-arm spinners, Abdur Razzak and Shakib Al Hasan, and went for 40 in six overs. Find Mosharraf Hossain profile and stats of batting, bowling and fielding including latest updated news of Mosharraf Hossain, videos and images at Hamariweb.com. 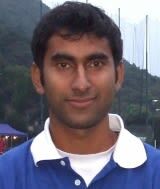 Also find detail Player profile and career statistics of Mosharraf Hossain of Bangladesh. Mosharraf Hossain - Find Mosharraf Hossain of Bangladesh Cricket Team complete player profile, number of matches, runs score, wickets & catches, Statistics, Records, Mosharraf Hossain Latest News, Mosharraf Hossain Videos, Mosharraf Hossain Photos, and other Mosharraf Hossain Cricket Team players.